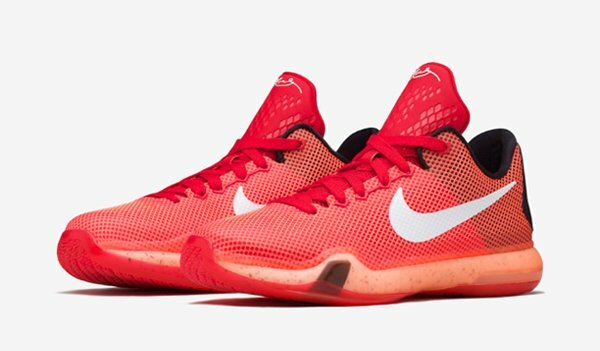 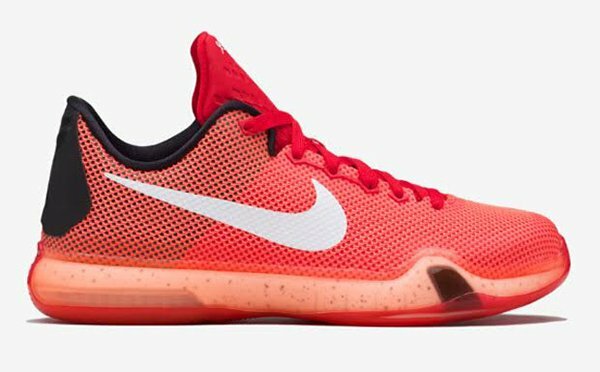 The Nike Kobe 10 GS ‘Bright Crimson’ is one of the newer Kobe 10s to debut, but will only release in kids sizing. 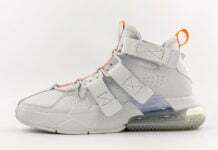 You will be able to grab this pair during the month of December. 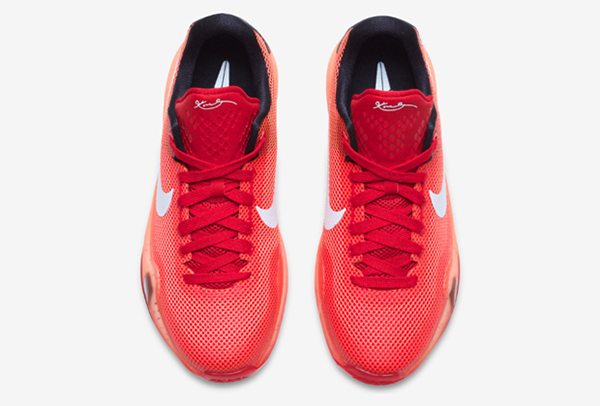 Dressed in a simple yet loud colorway of bright crimson, black and white. 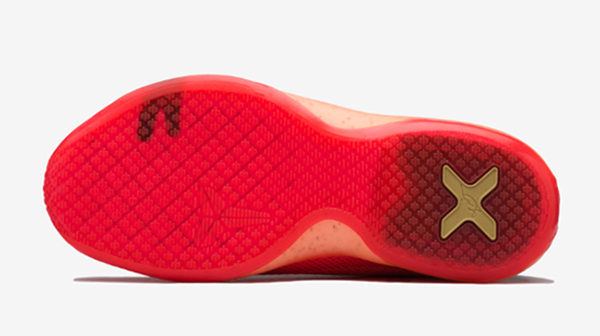 Crimson takes over the base and extends through the milky midsole with a speckled overlay. 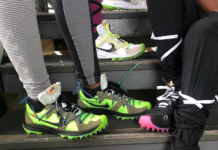 Following is hits of black that are seen on the liner and heel tab while the last detail is white landing on the side swoosh. 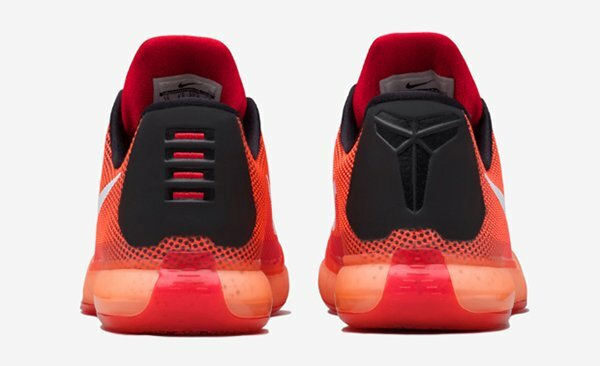 For those that are interested in picking up the ‘Bright Crimson’ Nike Kobe 10 GS, they will be available at Nike Basketball retailers on December 9th, 2015 with a retail price of $135. 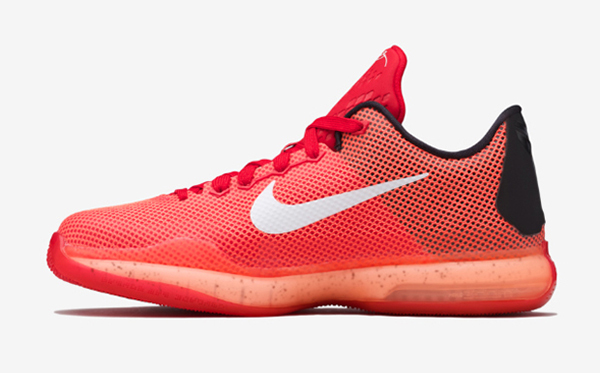 Continue scrolling below to check out more official images from Nike.